Over last 3 years, I’ve participated in the Google Reward Program and found some relatively serious vulnerability. 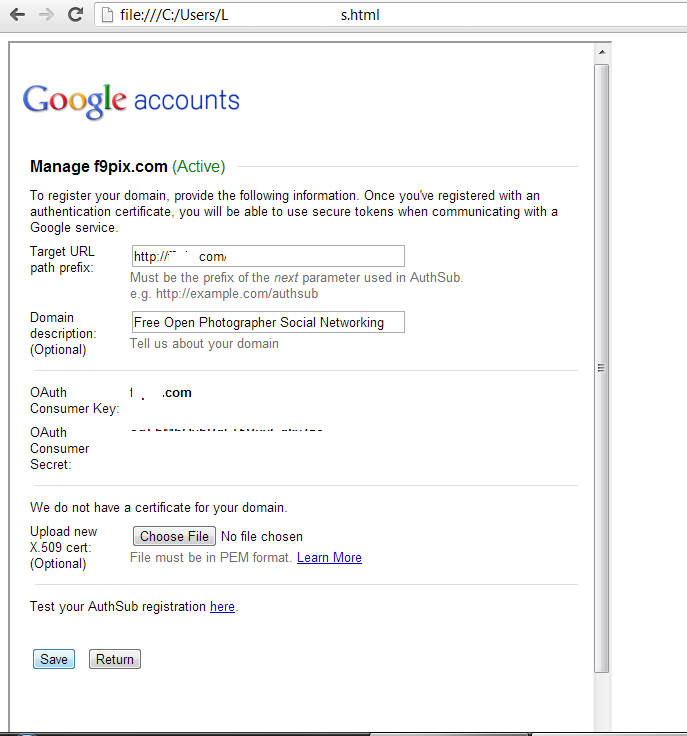 Google OAuth Target URL, Upload X.509 Cert and Domain Description Vulnerable to UI Redress Attack is my one of the oldest finding in Google Reward program. UI Redress Attack is basically a well known attack in the Info Sec community. Also, for those who are new to UI Redress Attack, find information here. 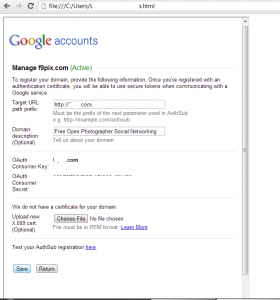 According to Wiki, OAuth is an open standard for the purpose of authorization, it provides client applications a secure access on behalf of a resource owner. As a result of using this vulnerability, the attacker is able to update victim’s OAuth Information including Target URL, Upload X.509 Cert and Domain Description. The following Header information was passing to Google server and you can identify XFO Header information is missing. In next blog post I’ll be posting another Relatively Critical Google Vulnerability. Follow to our blog via Twitter or email and stay updated.